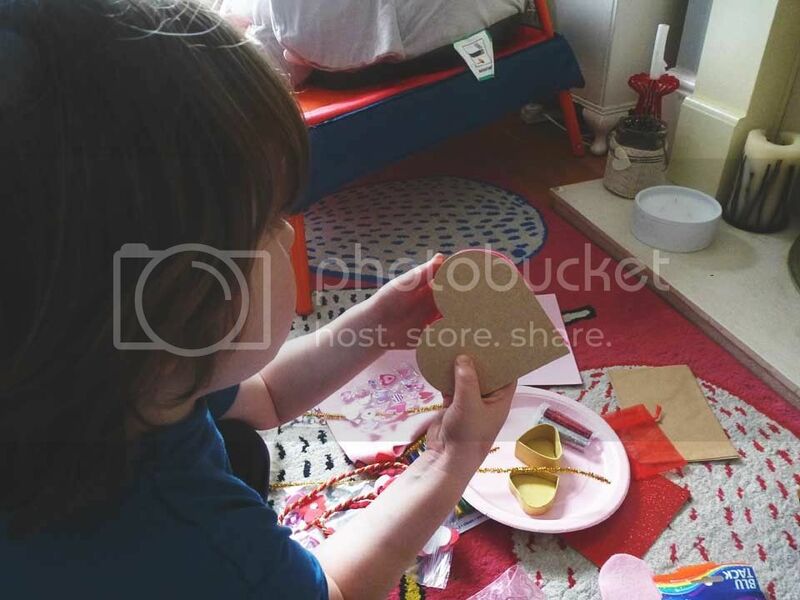 Time again for our Bostik Bloggers crafting box and we are late with our crafting as if you follow you will have heard that Little Bird has been quite poorly and in and out of hospital. Now he is getting better what better fun that to get out the craft materials and experiment. 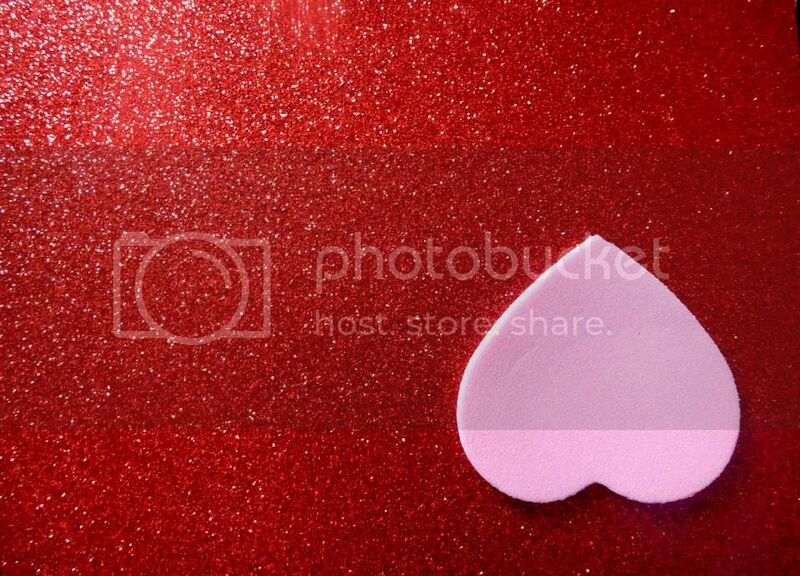 The box was all pink, red and heart themed so we decided to make a pretty heart decoration and a trinket box. 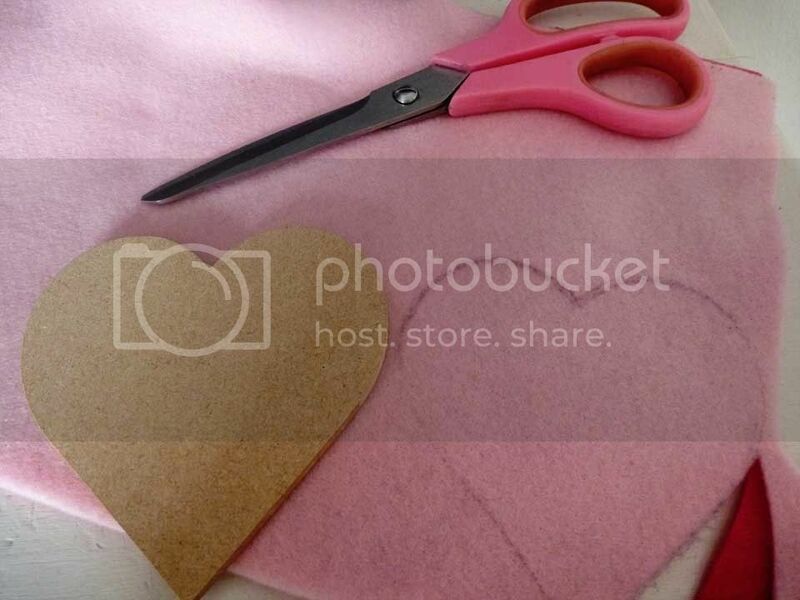 We drew around the playwood heart onto the pink and the red felt and cut them out. These were then glued using the Bostik Glu Dots to the plywood heart, one on each side. 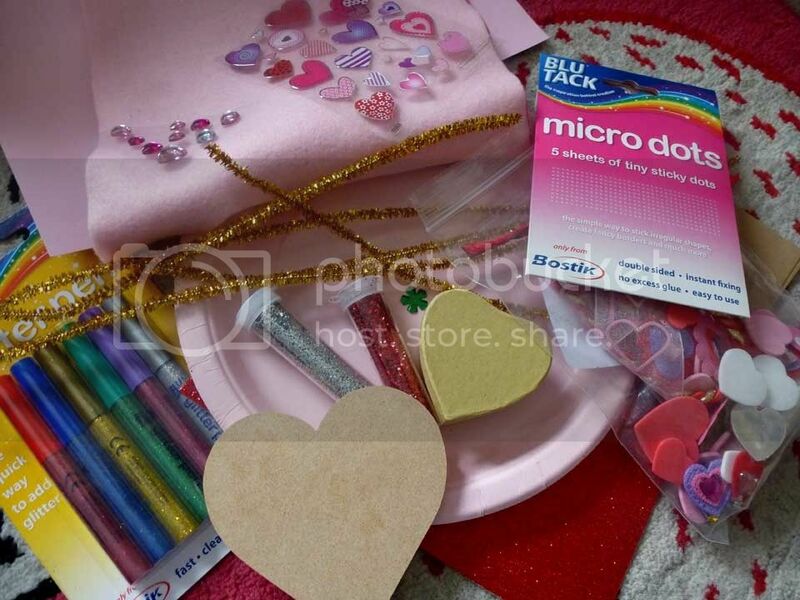 Now to decorate the heart with an assortment of the glitter card and foam embellishments and some very pretty heart decorations and gemstones. 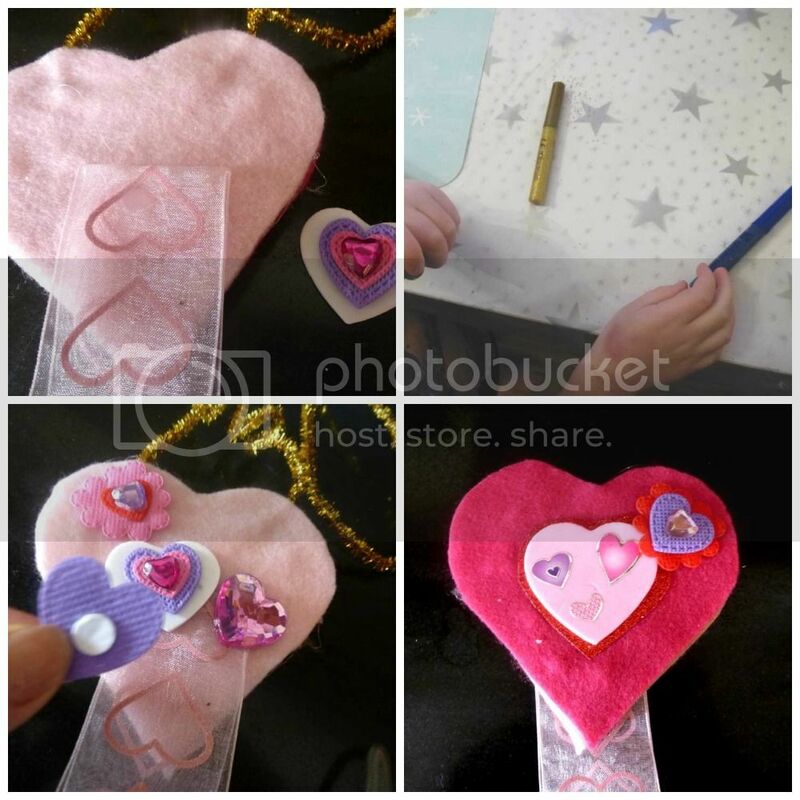 We used the super duper Bostik Micro Dots to stick our treasures onto the heart. The gold pipecleaner was twirled around Little Bird's finger and made a cute hanger- glued under a layer of felt and to the plywood with the Glu Dots and a bit of craft glue too to hold the felt down over it. 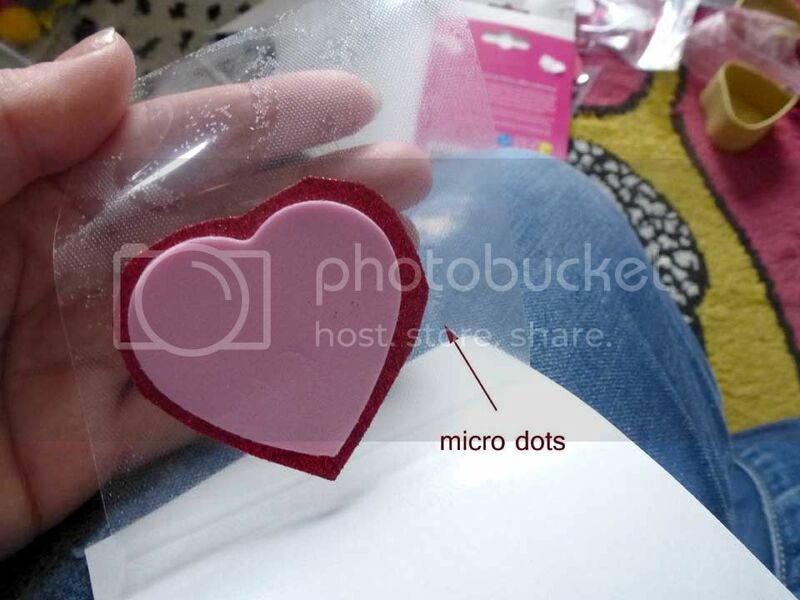 The piece of pink ribbon was attached to the bottom of the heart with Micro Dots. Then out with the Bostik Glitter Pens and LB splodged them here and there. Yay! 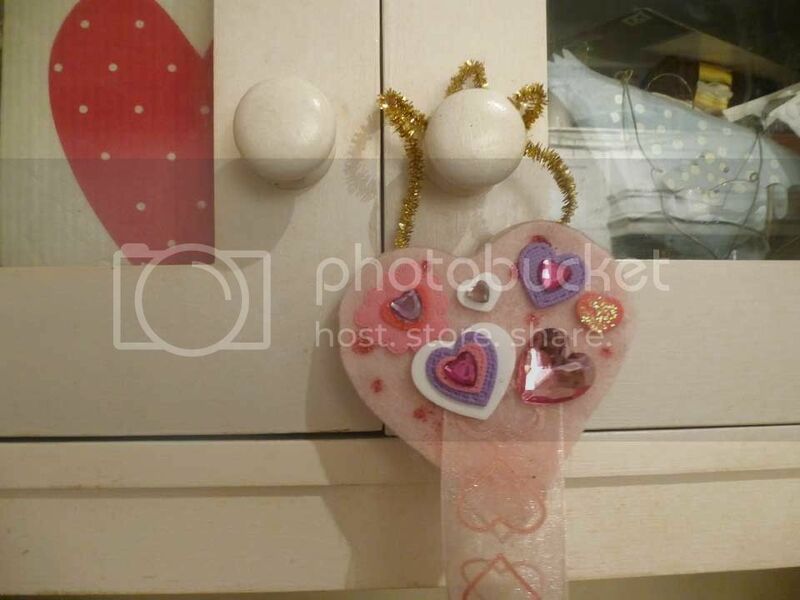 One cute heart/Valentine hanger. This will look sweet in my kitchen all year round. Now onto the little brown box, soon to be glittery treasure box. 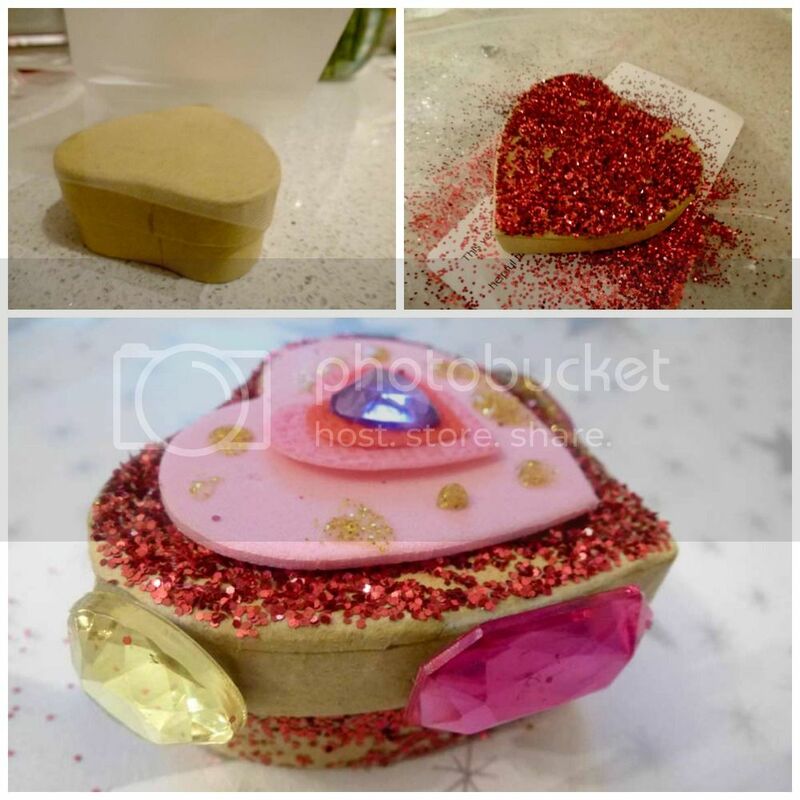 Again using the Bostik Micro Dots which are so useful and easy to apply, attach, peel off and the surface is now sticky - sprinkle all the sparkly red glitter on. Repeat for the sides too and then embellish with gems and hearts. Last month we made a Chinese Dragon.